Six Month Smiles is a method of orthodontic treatment for those who wish to improve the alignment of their teeth. Through the use of advanced technology, Six Month Smiles is able to give you the type of teeth you have always desired in as little as six months. This treatment has enabled a high level of effectiveness and efficiency in regards to check-ups and procedure. 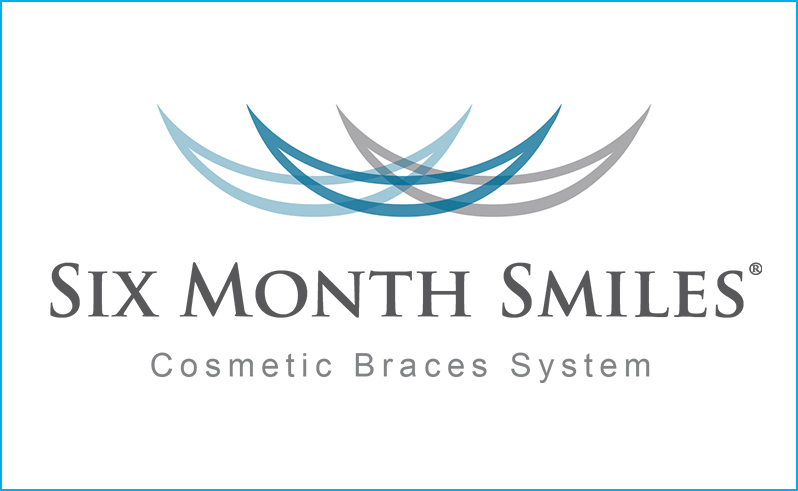 The Six Month Smiles programme is popular and suited to most adults who have a busy lifestyle and for those who do not wish to wear traditional braces while in their adult years. Below are some examples the 6 month smiles system before and after treatment. You will be required to have an initial appointment with our Hampshire Dentists Southampton team to assess whether the Six Month Smiles programme is suitable for you. Once you have been approved, your dentist will take a mould of your teeth to create a custom-built tray. These moulds are sent away to a lab where they are made into a bespoke brace in as little as two weeks. The Six Month Smiles programme works by re-aligning, shaping and adjusting your teeth to a more desirable position over a short period of time. The results are achieved by using a number of clear tooth coloured wires and brackets that operate in a similar way to traditional braces. Experts in the field of orthodontics agree that the Six Month Smiles programme utilises the best parts of traditional brace techniques, which means treatment time is significantly reduced and the standard is consistent. If you have a special event coming up, such as a wedding day, then Six Month Smile is an excellent means to prepare your smile for the big day. Why Have Your Six Month Smile Procedure Done with Hampshire Dentists in Southampton? Our Principal Dentist Dr Robin Hanna is experienced in Six Month Smiles and has undertaken a year-long course in Clinical Excellence. Dr Hanna maximises success rates by ensuring that the mouth is free of disease prior to placing implants. He uses meticulous techniques and scientifically proven materials to reduce the risk of contamination and infection. Extensive and genuine aftercare treatment is provided by the Hampshire Dentists team.